Each time I go to clean my home, my throat gets scratchy and the cough and sneeze fit begins. I know it's due to the chemicals in my cleaning products, so over the past year or so, I've been looking into eco-friendly cleaning products and chemical-free cleaning products. 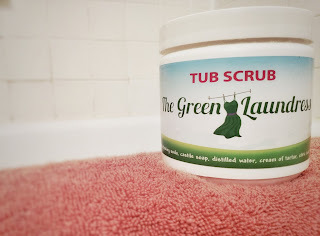 I've been using The Green Laundress' Multipurpose Spray and Tub Scrub for the past week and guess what? No coughing. 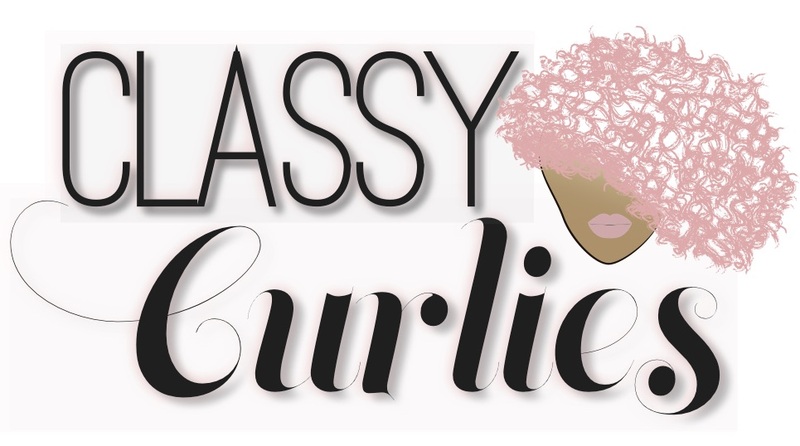 The spray only contains a handful of ingredients: Distilled water, castile soap, citric acid, and a blend of essential oils - which I love. If possible, no matter if I'm looking at a skincare, beauty, food or household product, I try to make sure they contain less than six healthy ingredients. Despite the castile soap addition, don't expect any bubbles or a sticky soap-like consistency. It's very light and carries an airy scent. 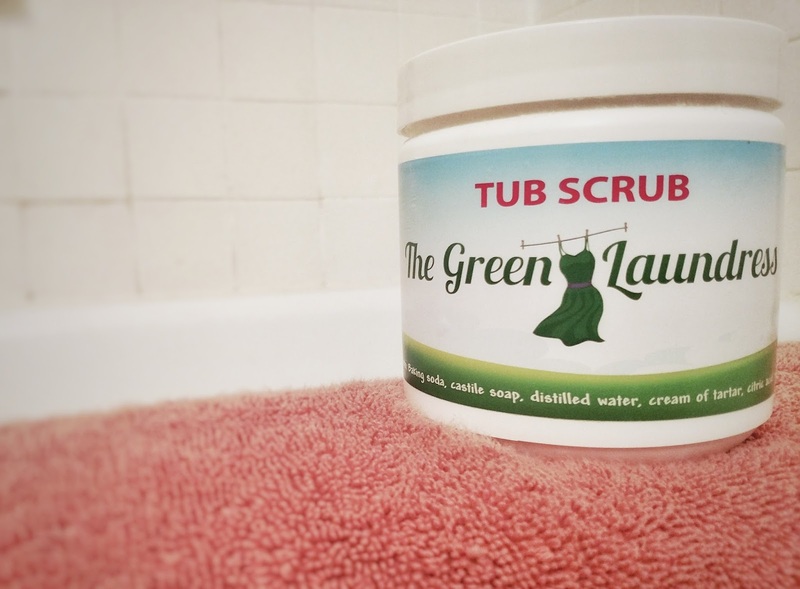 Now on to The Green Laundress Tub Scrub - which really surprised me. I began with a mostly clean tub, but what I wasn't expecting was the amazing shine I ended with. The tub scrub rinsed well and had a similar scent to the Multipurpose Spray. Before using the scrub, I wasn't familiar with the use of cream of tartar for cleaning, which is found in the product. 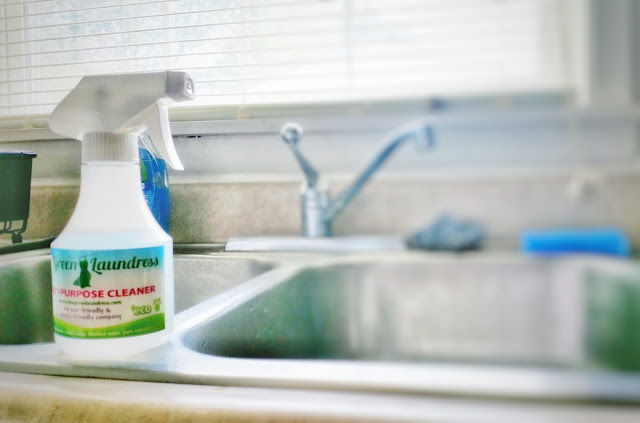 After doing some research, I learned cream of tartar is great for removing rust stains, shining stainless steel, polishing your stovetop and more. While it was great that I learned this - I was disgusted to learn we actually eat this (read your food labels ladies). 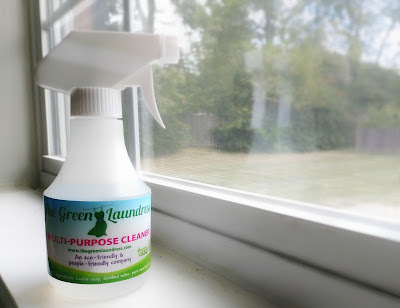 Overall, I very much enjoyed the eco-friendly cleaning products from The Green Laundress. 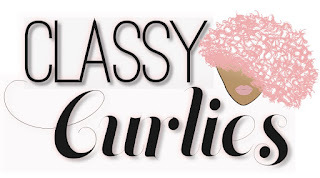 I love supporting women-owned and black-owned business and I'll definitely be ordering her all-natural laundry soap soon.